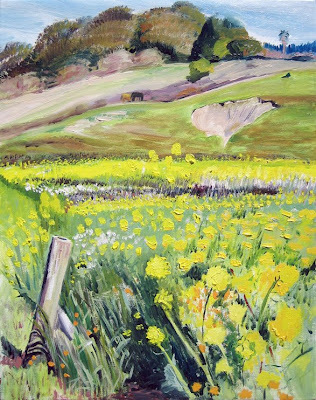 "Before the Spring Plow", Yellow Mustard fields at Paradise Produce, Bolinas, CA 11" x 14" o/c. Photo of me painting today, by Deni Wetsel. 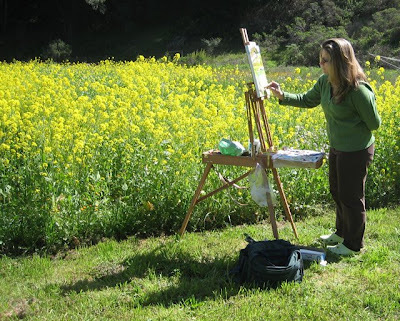 Deni is one of the organizers of this year's Art on the Farm show, in which 25 plein air artists will visit several Marin Organic farms to paint, with a portion of the proceeds of a Fall show going to Marin Organic.